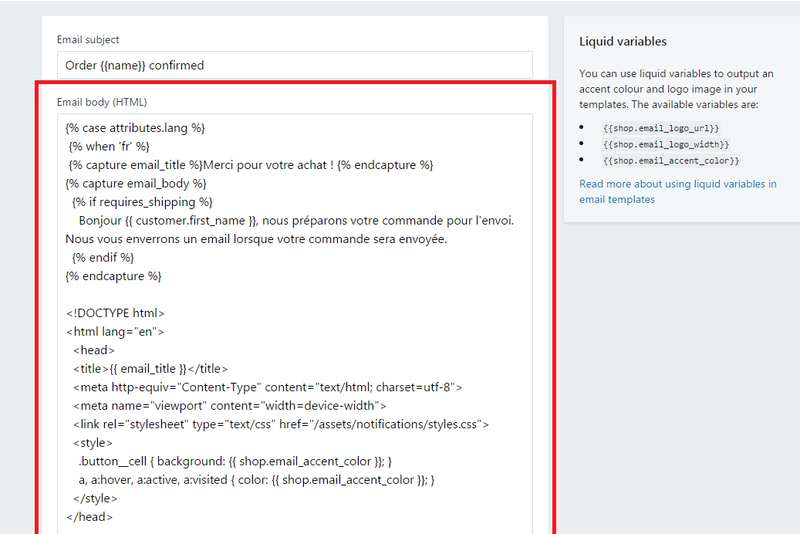 In this 8 steps guide, you will see how to translate your email notifications on your Shopify website. These instructions operate with order notifications but not the Gift Card Creation notification. 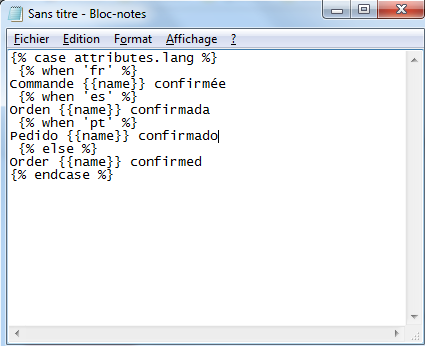 This is only an example, so make sure you enter only the languages you want to translate the email into. 2. 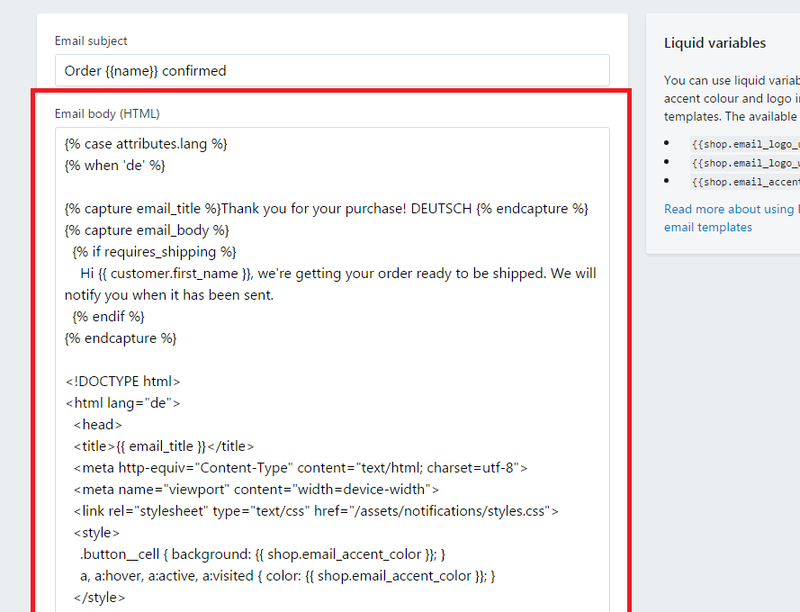 In your Shopify admin area, go to Settings -> Notification and open the email you want to translate, for instance, "Order Confirmation"
In my example, my original language is English so I replace "ENGLISH TEXT" by the code. 5. 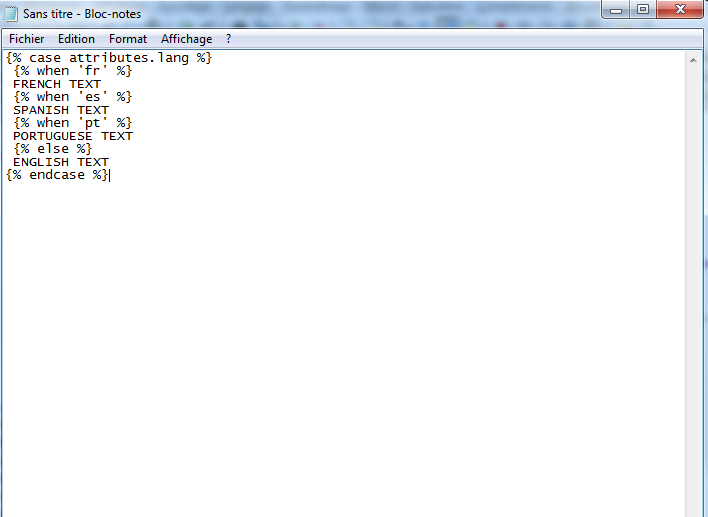 Then replace "FRENCH TEXT" with the same code, except that you changed the sentences into the translated one. Do the same for other languages like "SPANISH TEXT" and "PORTUGUESE TEXT"
For example, for French, you will change "Thank you for your purchase!" 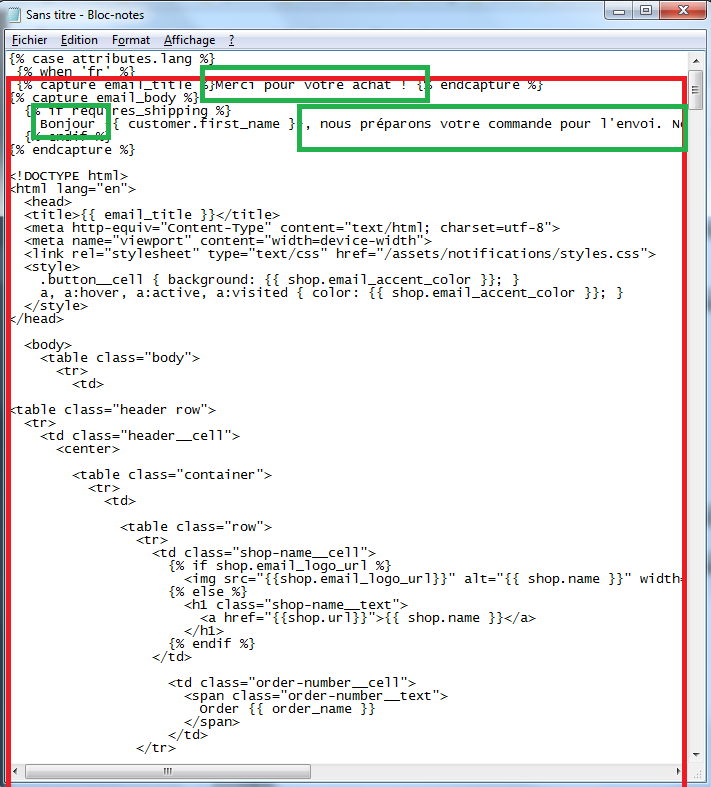 by "Merci pour votre achat !" You're done! 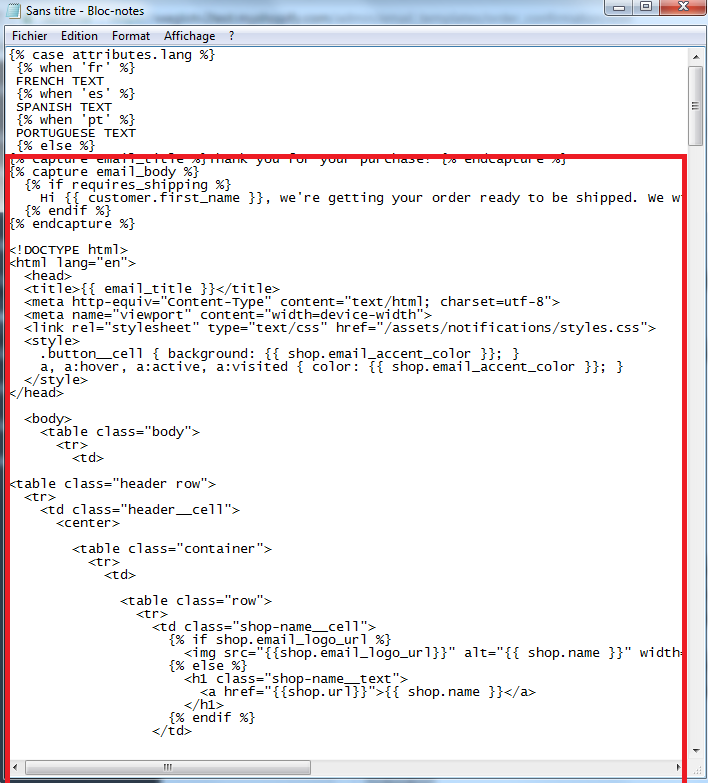 Your customer will receive the email in their language.